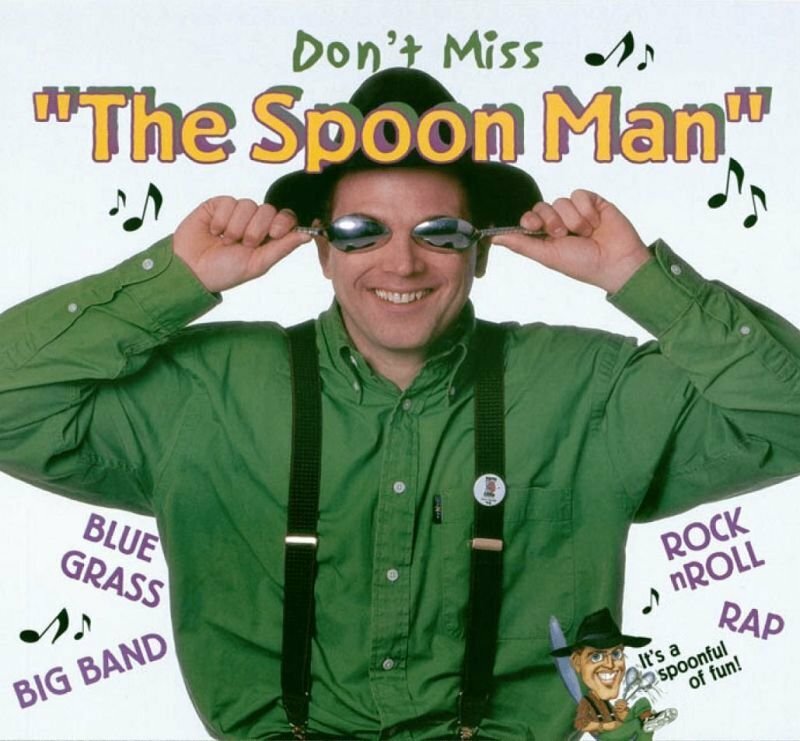 JIM CRUISE THE SPOON MAN - Boston GreenFest - Aug. 16-18, 2019 - FREE! He has written a book titled “Spoon Boy” a 124 page soft cover chapter book on how Jimmy got started playing the spoons. ISBN 978-0-9667757-1-6 The “Spoon Man” has been playing the spoons for nearly 32 years (he never had a social life) professionally for 20 years. Learn more about Jim Cruise HERE.